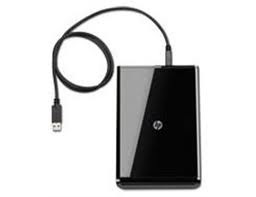 Hard Disk Drive: Hard disk is an important part in pc which stores all software's ( including OS and Application software), user data, files and folder. 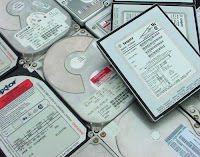 It is a permanent memory storage type which can retain data after power interruption. 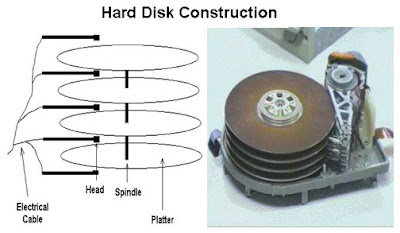 Why it is called Hard Disk Drive: It is made up of concentric metallic disk fitted at a Spindle, bunch of head each placed one after the other to read data from both the side of each disk. These metallic disks are coated with magnetic material to store data. Since these disks are made up of hard metallic substance so it called hard disk. Different type of HDD: Mainly five types of HDD available in market. 3. SCSI : Small Computer System Interface. SCSI is pronounced as scuzzy. 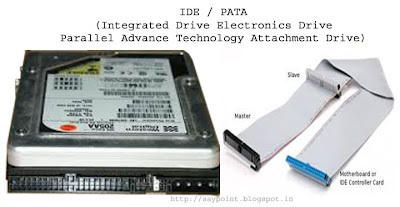 • IDE/PATA Drives have usually 40 pins. • IDE/PATA Drives offer 133 MB/sec transfer rate. • It sends 8 bit data at a time. • PATA Cables are used to connect PATA HDD. Two drives can be connected in a single pata cable. One as master and other as slave. The configuration of master and slave is done by different combination of jumpers in the hdd. • SATA Drives have usually 7 pins, 4 pins in pair of two for sending and receiving data and rest 3 pins are grounded. 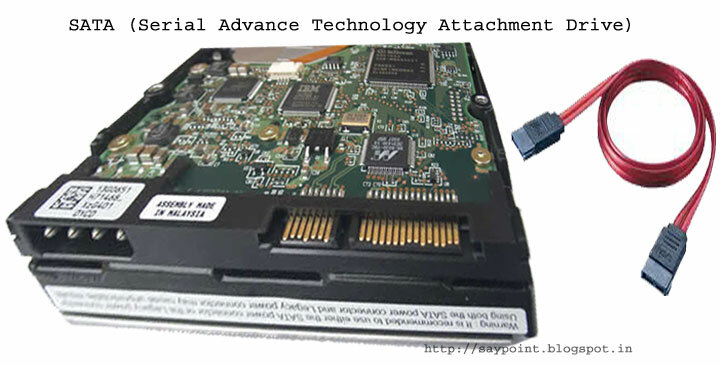 • SATA Drives offers generally 300MB/sec transfer rate. • It sends data bit by bit. • SATA Cables are used to connect SATA HDD. Only one drive can be connected in a single sata cable. • SCSI Drives have usually 50 to 68 pins. • SCSI Drive offers generally 640MB/sec transfer rate. • SCSI cables are used to connect SCSI HDD. Maximum of 16 drives can be connected in a single scsi cable. Each hdd have a 8 bytes hexadecimal code known as WWN (world wide name) for its identification in the cable. • SAS Drives generally offers 805 MB/sec transfer rate. • This drives are hot swappable. • SAS Cables are used to connect SAS Drives. Maximum of 128 drives can be connected in a single sas cable. This is the hard disk drives external to system typically connect via USB cable. It is removable in nature and features large storage options and portable design. Good topic, but then why don't other than hard disk called soft disk. Good and very knowledgeable post about HDD and gives full information about different Sas, Sata cables. I really recommend this blog to all. I always read your blog if i found any problem regarding any technical issue. Keep posting such informative post. are there laptops with scsi hard discs? they seem to have the highest data transfer rate. Good topic and easy to understand. Thank u..